The NUS America Foundation, Inc. is a California nonprofit organization recognized by the Internal Revenue Service as a tax-exempt public charity under Section 501(c)(3) of the Internal Revenue Code. Its mission is to support the advancement of the National University of Singapore's mission of global education, research and service by facilitating charitable giving and fostering support from US-based alumni and friends of NUS. The Foundation is independent of any institution and a volunteer board of directors governs and controls the grants and use of funds. We invite charitable donations from individuals, corporations and foundations. 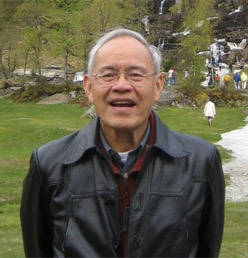 Frank Jen, who established the Seybold and Suean Lin Jen Scholarship at the NUS Yong Loo Lin School of Medicine. © NUS America Foundation Inc. All Rights Reserved.